We are specialized in organizing private events in the Andaman and Nicobar Islands. We can play a major role in the success of any sorts of events that you are planning to hold, be it a birthday bash, a grand wedding ceremony or any other sort of party. 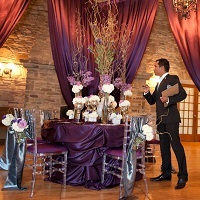 As your personal event organizers, we take care of every aspect of the event very closely, be it decoration, guestsâ�� stay, transport & parking and culinary. We have won accolades from our numerous clients for the grand success of the events held.